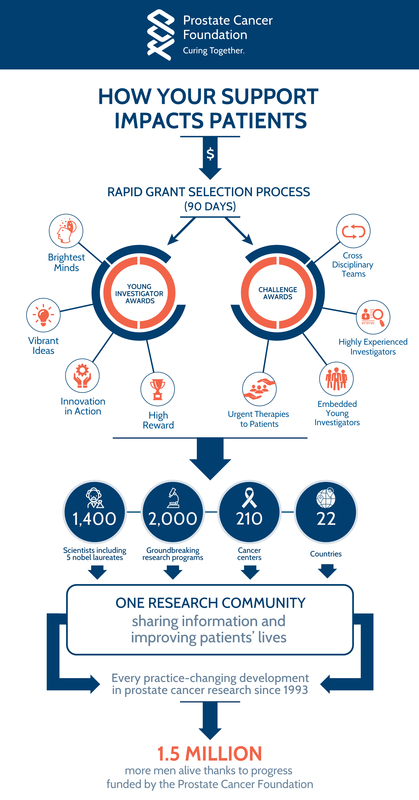 For every hard-earned dollar that you give, we commit to work even harder to leverage your generosity into better, faster treatments for patients. For years, researchers have gone to the government to get money for their work. The problem with this model, is that it’s slow – historically, awards from the government go to research which has already been proven, vs. ideas that are the most innovative or have the most potential for success. In recent years, government funding, which was already in short supply, dried up to next to nothing. PCF uses a start-up company mentality to fund research. We want the most promising research ideas, from the most talented scientific minds to get the money they need, asap, without the governmental red tape. This speeds scientific discovery and insures that patients who need it most, get the treatments they deserve. We call this venture philanthropy. Learn more about the work we fund.